Convalidation celebrations vary greatly depending on the couple, but they are all special, significant occasions in the Catholic Church. A convalidation ceremony is the validation of a marriage. 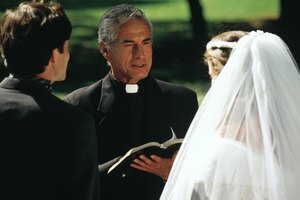 If a couple's wedding took place outside of the church, convalidation is necessary for the marital union to be formally recognized by the Catholic Church. 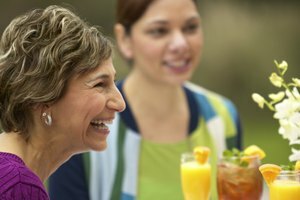 Although this is a more formal occasion, the etiquette for a convalidation ceremony should basically be almost the same as it would be for any vow renewal ceremony. By following the religious and cultural etiquette associated with convalidation ceremonies, you show your respect for the married couple and enhance the celebration with your presence. It's important for the couple to work closely with their priest on completing the necessary paperwork well ahead of their anticipated convalidation ceremony. A Baptismal Certificate is required from both the husband and the wife. Completion of any testimonial or witness forms should be done in a timely manner. The couple should consult with the priest to see if he feels they need further counseling or can do so after a simple interview. They should go individually and participate in the Sacrament of Reconciliation in the week before the Catholic convalidation ceremony. It's the couple's responsibility to be proactive in their preparations for the ceremony. Leaving it up to the priest or other clergy members to do extra work that can be done by the couple is considered very poor etiquette. Women should dress up for the convalidation, but they usually don't wear white. If the wife wants to wear white, though, there are no rules against that, and doing so is not considered poor etiquette. The convalidation ceremony is a more understated and simple event than a wedding itself, though, so a formal dress that expresses the woman's style and preferences is fine. A man should traditionally wear a suit and tie. It's not considered proper etiquette to request gifts for a Catholic convalidation ceremony. 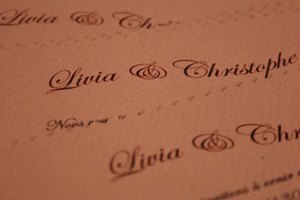 Writing "no gifts, please" on the invitation helps clarify that gifts are not needed or expected for the celebration of love. Since gifts are traditionally given at a wedding for two people building a home together, the home has already been set up, so it would be considered tacky to build a registry. The couple who are celebrating their love may give small party favors to their guests at the reception, but no presents are exchanged at the ceremony. Receptions for convalidation vary greatly. A couple can have whatever size they want. If it's a large celebration, perhaps taking the place of a large wedding that never happened, it's appropriate to rent a large hall, room in a restaurant or other venue to set up a full reception for as many guests as desired. On the other hand, it's also appropriate to simply go out to dinner with a small group or even gather at one's home for a meal or dessert. The couple should be sure to inform their guests if the reception is formal or casual because many people may want to change attire between the church ceremony and a low-key reception. Church of Ancient Ways: What is “Convalidation” in the Roman Catholic Church? ABC News: Vow Renewal - What to Wear? Herboso, Eric. "Catholic Convalidation Etiquette." Synonym, https://classroom.synonym.com/catholic-convalidation-etiquette-12085911.html. 29 September 2017.